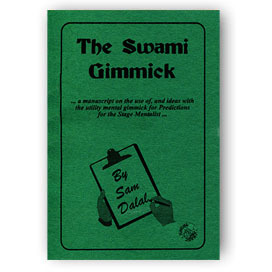 I ordered the Swami Gimmick after I saw the reactions to the nail writer effects Richard Osterlind got on his Corinda 13 Steps to Mentalism video set. The nail writers in this package are good quality, and the instructional booklet that came with them far exceeded my expectations - it's amazing what can be done with a nail writer! The tips in the booklet for use are helpful, the effects are great and if you put in the practice, you will absolutely stun people. Highly recommended!